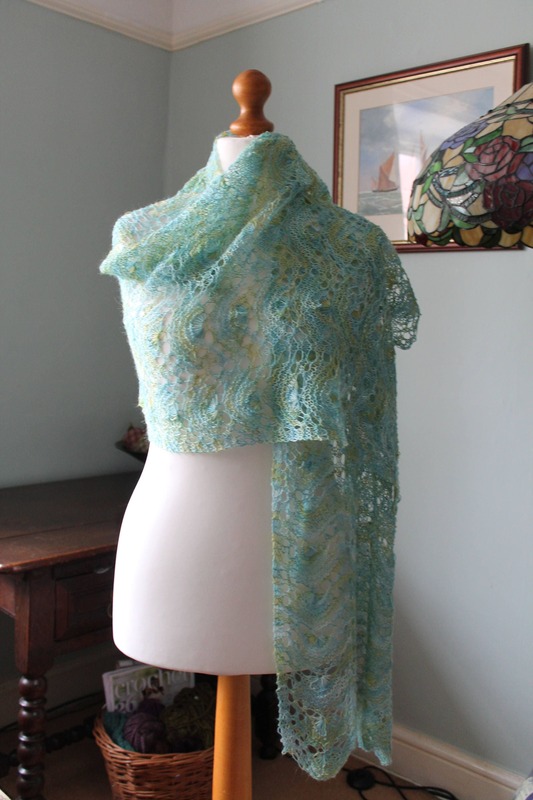 Mermaid Wrap Pattern, PDF instant download. 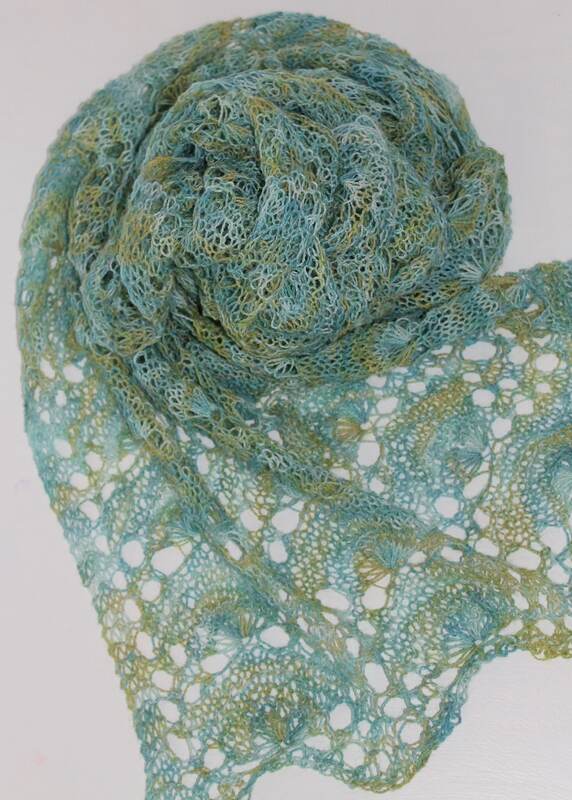 This is an instant PDF download for my Mermaid Wrap. A favourite design that I have worked in kid mohair, silk, baby alpaca and camel yarns. It is a versatile pattern for a full length wrap and can be knitted in lace- sock weight yarn. 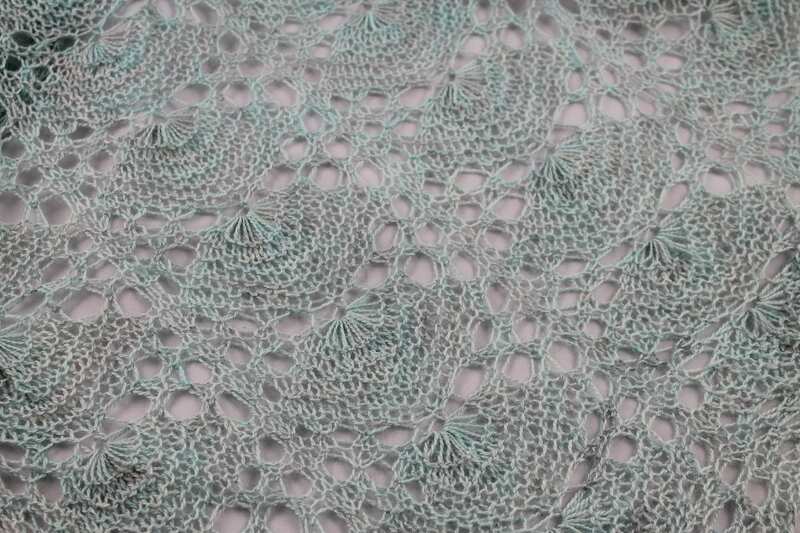 It takes 800m/100g of lace weight yarn to complete and is knitted on 4mm straight needles. I made up this design using a traditional Shetland stitch after a day at rock hounding on the Bristol Channel. I found out razor clams were called mermaid combs and that sent me off on a flight of fancy. The day was topped off by a pod of harbour porpoise breaking the surface of the sea about ten ft off shore.